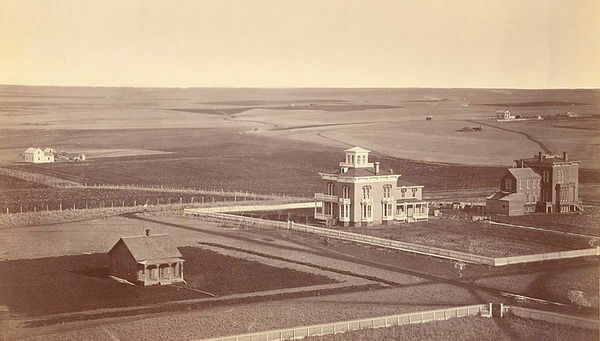 From 1854 to 1867 the seat of territorial and state government was in Omaha. In 1867 the State Legislature appointed a Capital Commission to select a location for the new state capitol. Commission members Governor David Butler, Auditor John Gillespie and Secretary of State Thomas P. Kennard on July 29, 1867 selected the present site. In 1869 John K. Winchell of Chicago designed masonry homes in Lincoln for each of the Commissioners. These showplaces did much to instill confidence in Lincoln's future. Of these three structures, only the Kennard House stands today. 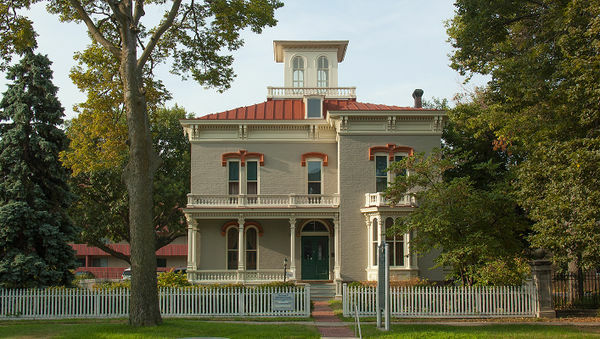 It is apparently the oldest house within the original plat of Lincoln and is one of the finest remaining Nebraska examples of Italianate domestic architecture, the leading American style from about 1855 to 1875, Nebraska's pioneer period. 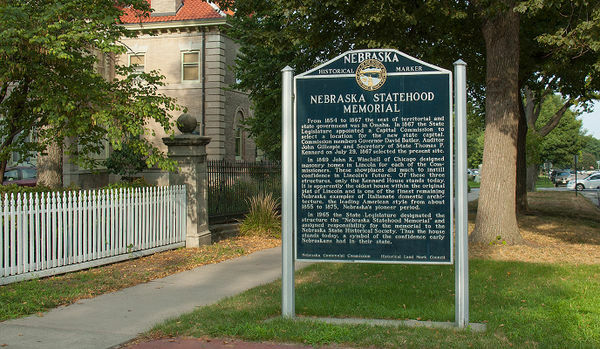 In 1965 the State Legislature designated the structure the "Nebraska Statehood Memorial" and assigned responsibility for the memorial to the Nebraska State Historical Society. Thus the house stands today, a symbol of the confidence early Nebraskans had in their state. Since 1968, the Thomas P. Kennard House has been set aside as a memorial to Nebraska's achievement of statehood. The memorial is meant to represent all Nebraska, not just a specific person or place. This property is listed in the National Register of Historic Places (NRHP), and is now a historic site museum of the Nebraska State Historical Society. View the National Register form and photos here. Also see the National Park Service teaching with historic places lesson plan for the residence. For more on Kennard, see Thomas Perkins Kennard (1828-1920). Also see RG3796.AM: Thomas Perkins Kennard, 1828-1920, a manuscript collection in the archives of the Nebraska State Historical Society. Buecker, Thomas R. “The Father of Lincoln, Nebraska: The Life and Times of Thomas P. Kennard.” Nebraska History Summer 2014: 78-93. Magie, John. "Nebraska Statehood Memorial," Unpublished manuscript on file: Historic Preservation Office, Nebraska State Historical Society, 1969. “More about Nebraska statehood, the location of the capital, and the story of the commissioner’s homes.” Nebraskahistory.org. “Nebraska Statehood Memorial.” National Register of Historic Places nomination form. Nebraska State Historical Society, Nebraska Statehood Memorial: Thomas P. Kennard House, Educational Leaflet No.14, Lincoln: Nebraska State Historical Society, nd. See Nebraska Historical Marker Program for more information. This page was last modified on 18 January 2018, at 09:12. This page has been accessed 18,553 times.